Sugar Time: Her name is Sugar. Sugar Sweet. When her Uncle Max falls ill and his collaborators disappear, he asks her to investigate the old Victorian mansion where he conducted his research. Now Sugar must act quickly to unlock the secret of time travel so she can protect her uncle's research. 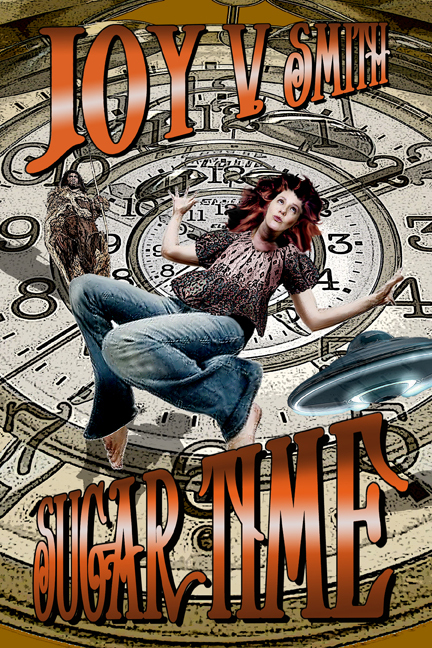 Sugar Time collects Joy V. Smith's Sugar Sweet stories into one volume. Joy V. Smith has been writing since she was a little kid; she loved to read, and she wanted to create her own books, so she did. Now she writes fiction--her favorite genre is science fiction--and non-fiction. Her short stories have been published in print magazines, webzines, anthologies, and two audiobooks, including Sugar Time. Her books include fiction and non-fiction and two collections of her published short stories: The Doorway and Other Stories and Aliens, Animals, and Adventure. She lives in Florida with Blizzard the Snow Princess and Pemberley the tortoiseshell cat.